Outdoor chaise lounge chairs are adjustable outdoor furniture pieces used for relaxing. Typically found poolside or at the beach, chaise lounge chairs are iconic summer chairs for sun bathing while laying down or sitting upright. Outdoor chaise lounge chairs are 78” | 198 cm in length, 20.5” | 52 cm wide, with an overall back height of 34.5” | 88 cm, and seat height of 13” | 33 cm. 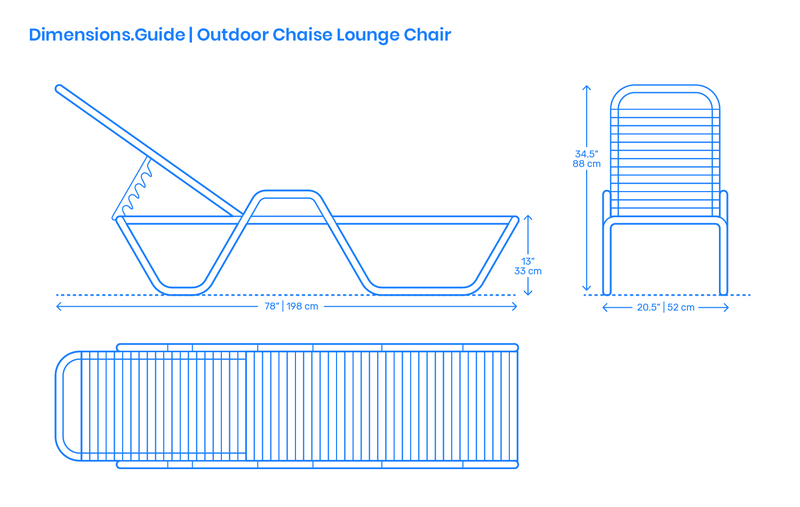 Chaise lounge chairs are often made with aluminum frames and surfaces of vinyl straps or polyester fabrics.